So what have we been up to? Sharp eyed readers may have noticed a new link on the menu bar. 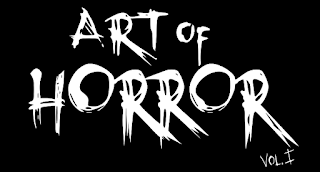 Yup, that's right... Ottawa Horror now has Forums. Sign up today and get talking! You may also have noticed the "Store" link. This will take you directly to the Ottawa Horror Zazzle store where you can get those cool Ottawa Horror T-Shirts we were sporting at Mayfair during the Human Centipede Premiere! Oh and it helps keep us "on the air" so to speak!